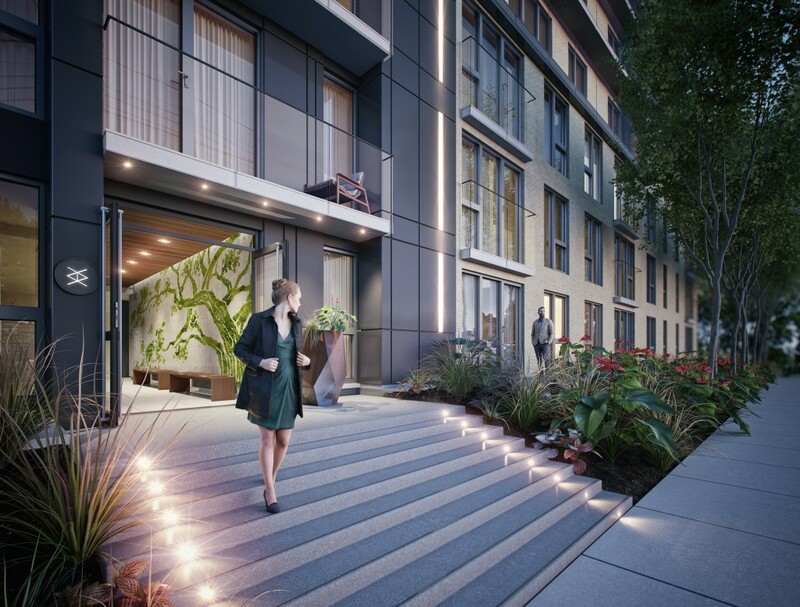 Nestled in the heart of Grifintown and surrounded by parks and green spaces, the project Elements stands out. By its location, first of all, that skillfully juggles the lively atmosphere of the area and the tranquil haven that provides the green landscape. Elements, it is also an unique opportunity for a homecoming, powering foreground, pure materials to characterize your day to day life. The wood, stone, fire, green or nature, were for architects and experienced designers of the project, inspired materials. Upon entering the building, the natural elements mark their presence. A green wall quickly shows its intentions; to let nature into the building, then magnified the status of work of art. On the terraces which crown the building, elements coexist without confronting. Granite will simultaneously become water and home play. The shadows of pergola signature enliven the space-swings. 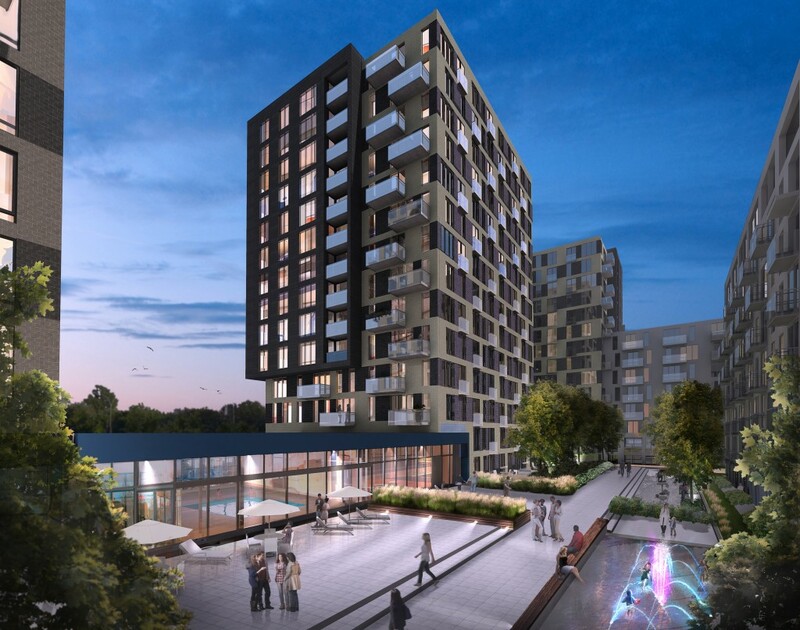 The contrast between urban views and strengthen these community spaces intend to develop appropriated places, peaceful, harmonious and in contact with my first eras; those at the basis of life and progress. The technology is not left out, on the contrary. It is inspired by these elements and simplicity that results to improve your experience of the present, the here, the now. 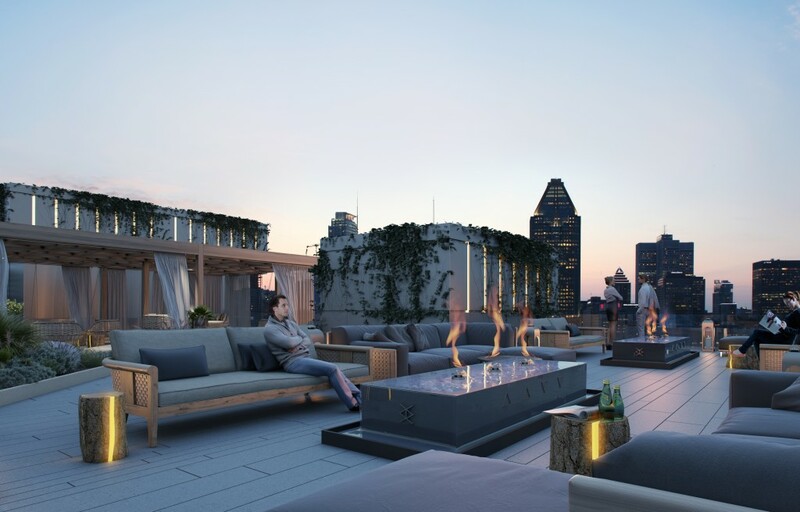 Moored in a modern vision, where natural elements, raw materials and innovative design each play a role, Elements Condominiums offers exciting one- to two-bedroom lifestyle options in the booming heart of Griffintown at the intersection of three storied streets: de la Montagne, du Séminaire, and Basin. Get some air on one of the designer suspension swings on the terrace. Work out in your indoor gym or the neighbourhood park. Replenish your soul meandering the district’s most beautiful corners by bike, on foot, or however way you want to roll. Drive to the beach or rent a cottage to be by the water? 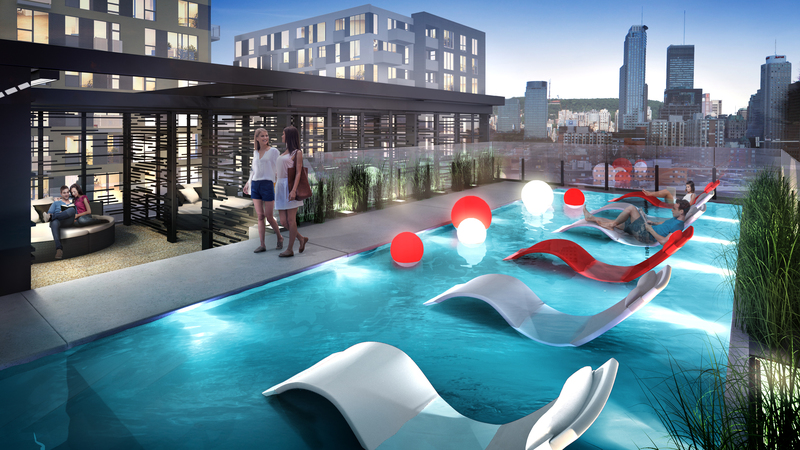 No need when your urban enclave boasts the longest swimming pool in Griffintown, indoor basin, sauna, fountains, water play area all this only a few steps away from the Lachine Canal. All at Elements is in place to ignite your evenings among friends or keep things cozy with your significant other. 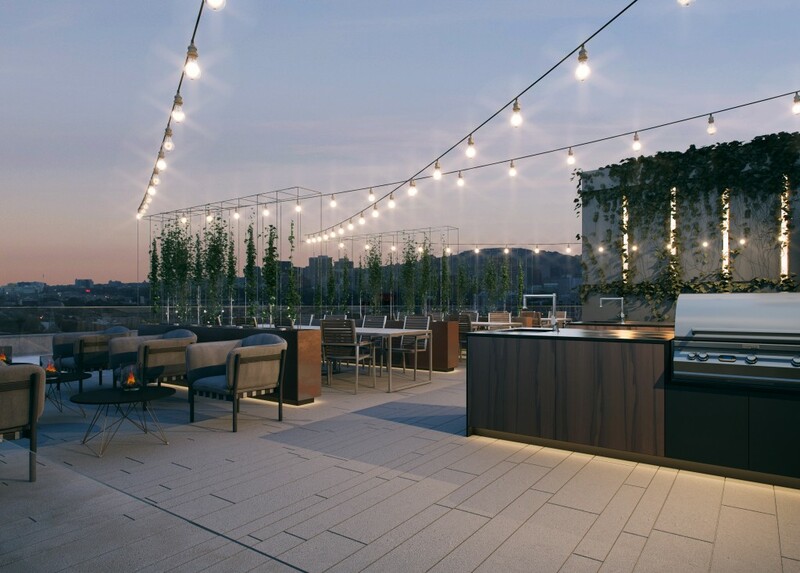 Relax under the stars by one of our outdoor fireplaces or organize a BBQ on the terrace and enjoy the view of the downtown skyline. 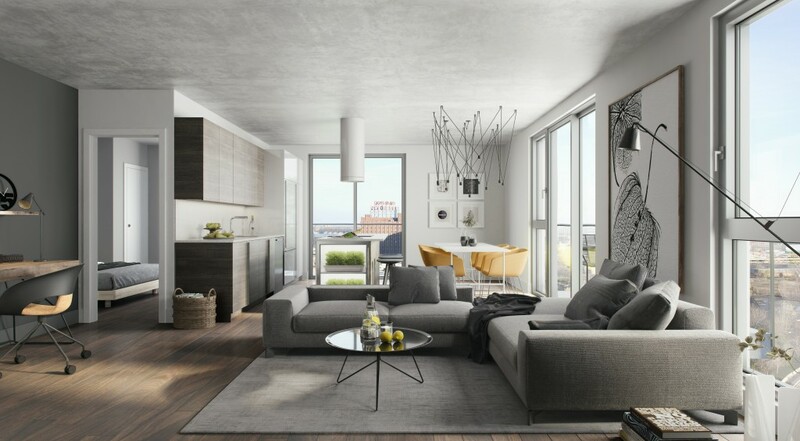 Adjacent to Griffintown’s St-Ann’s Park, steps from the Lachine Canal, this new heightened living environment has elevated existing benchmarks. Easy access to surrounding nature lets you reconnect with the essentials. Take in the immense green wall at the entrance to your home, the herb garden, the wood backsplash in your kitchen and other raw materials.